The first references to Salame Felino PGI are already found in some Latin authors of the first century AD (Apicio, De re coquinaria). The most ancient depiction of the product seems to be in the interior decoration of the Baptistery of Parma (1196-1307). Since 1800, in the village of Felino, there is a particular way of transforming the swine flesh into salami. In 1905, for the first time, the expression “Salume Felino” appears in the Italian dictionary. 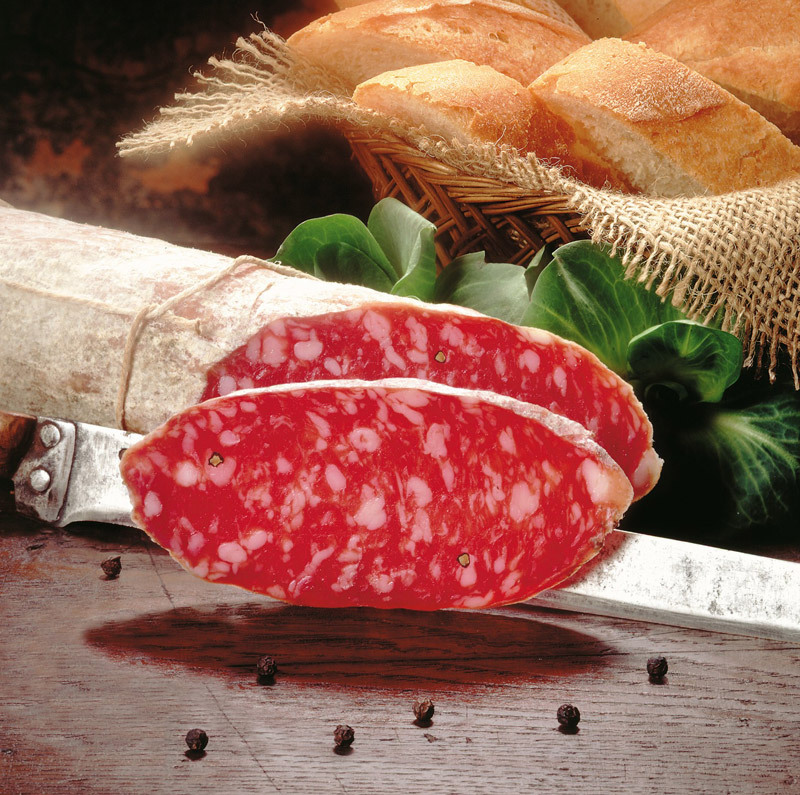 Since 1927 local public institutions have recognized the name “Salame Felino” for salami produced in the province of Parma, as the use of this product name was the reason for promoting the well-being of the province. To confirm this, there are events and meetings organized in Italy and abroad by local authorities, with tasting booths and information stands. To testify to the privileged relationship between the unique product and its area of ​​origin, there is even the ‘Salame Felino Museum’. After being thoroughly cut and trimmed, the meat is refrigerated at a temperature not lower than -1° C. The there’s the grinding phase in which they use a grinder with molds with holes of 6-8mm in diameter. The ground product thus obtained is kneaded with salt, peppercorns or pieces, garlic, wine, and sugar. The dough is plunged into a natural pig casing and bound with a string (it cannot be used a net). During the drying phase, it is stored in a special room at a temperature of between 13 and 24° C for 4-6 days to have a more pronounced dehydration. The maturation is carried out in rooms with sufficient air exchange at a temperature of 12 to 18° C and must last for at least 25 days. Due to the delicacy of the product, rich in unsaturated fatty acids and poor in preservatives, qualified personnel within the production area must do the potentially critical cutting and packaging steps. Cylindrical shape with one end bigger than the other. It has an exterior surface of grayish-white, slightly powdery, determined by the development of a small amount of native mold. Compact, homogeneous and slim slice, free of nerves with whole or pepper pieces. Ruby red color, free of blemishes. To taste it at best, it is better to serve it sliced and to consume it in a short time, thus avoiding prolonged contact with the air. In typical Parma cuisine, it is the classic starter: its bond with the production area is very strong. The production area, characterized by hilly and flat areas, as well as the presence of lakes and salt mines, influences the production technique in a unique and inimitable way. Salt adding and processing of pig meat since 1300 has led to the production of products recognized at national and international level. 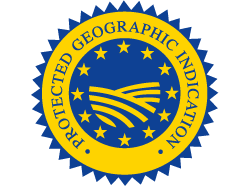 The EU has assigned the Protected Geographical Indication (PGI) under Regulation EU Regulation 186 of 05.03.2013 – OG L 62 of 06.03.2013.